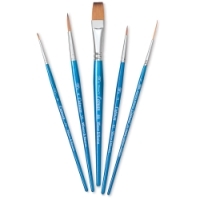 These synthetic filament blend brushes are designed for the student to professional user. 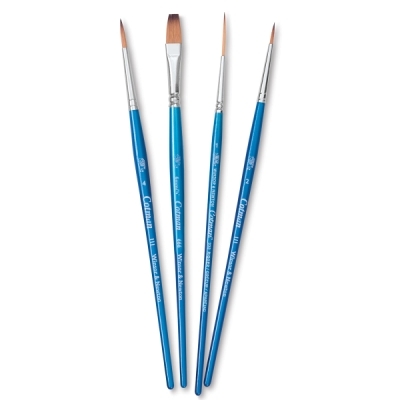 Durable Cotman brushes feature excellent point and spring. 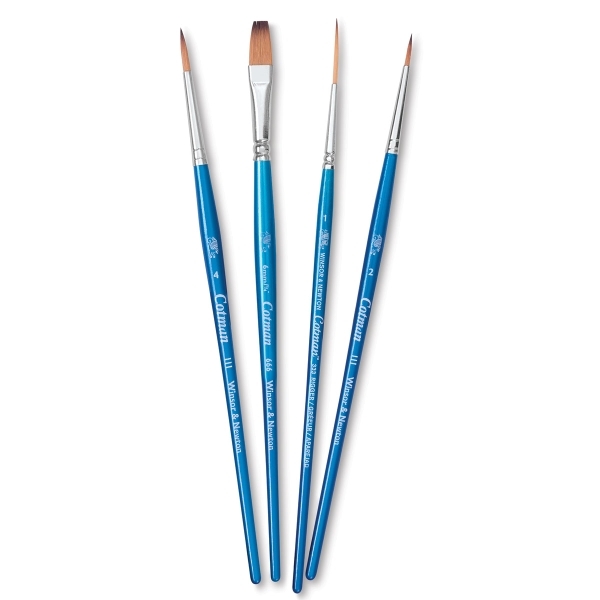 They are considered a soft brush, slightly stiffer than sable. The soft filament is designed for use with watercolor, offering good flow control and color carrying capacity. 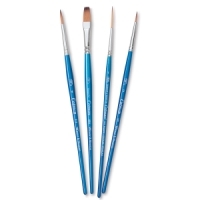 Set B, Set of 4 — This set includes three Rounds (Size 1, 4, and 6), and a 3/8" One Stroke. 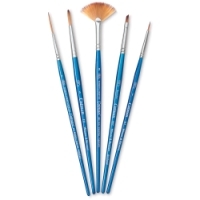 Set D, Set of 5 — This set includes three Rounds (Size 0, 2, and 6), a Size 1 Rigger, and a 1/2" One Stroke. Set C, Set of 5 — This set includes two Rounds (Size 1 and 5), a Size 1 Rigger, a Size 2 Fan, and a 1/8" Angled. 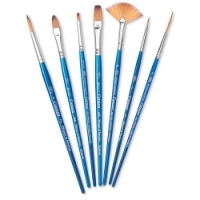 Set E, Set of 7 — This set includes two Rounds (Size 1 and 6), a 1/4" Filbert, a Size 2 Fan, a Size 2 Rigger, a 1/8" Angled, and a 3/8" One Stroke. 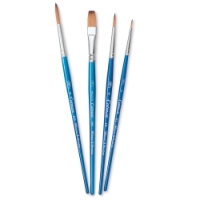 Set A, Set of 4 — This set includes two Rounds (Size 2 and 4), a Size 1 Rigger, and a 1/4" One Stroke.